It’s funny to think that the Tenth Doctor never encountered the Ice Warriors on screen. Perhaps due to his trip to Mars towards the end of his life, it feels a bit like he had at least some connection to them in spirit. But actually coming face to face, sadly not. 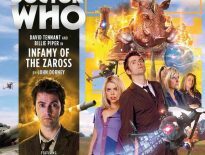 Cold Vengeance allows listeners to plug the continuity gap until their hearts are content, with the Tenth Doctor and Rose facing off against the titular Martians in all the war-like glory. At the beginning of the tale, you’d be forgiven for thinking that you were listening to a remake of Dragonfire, what with the frozen goods setting, the pirates and the terrible villain who can only survive in incredibly cold temperatures. But wait just a minute and stick with this one, ’cause it’s a solidly entertaining tale from the Tennant era of the Tenth Doctor. Here, as seems to be the case a lot with the poor old Ice warriors, Martian Lord Hasskor and his team have been in a long, deep sleep in the ice before being abruptly awoken by some thoughtless humans who have no one to blame for the fallout that follows but themselves. Of course, said fallout is a tale of revenge concocted by the Hasskor to exact said vengeance on the horrible humans he was at war with some 500 years ago. Some people just cannot let things go. What pursues is a fine tribute to the Doctor / Rose era of Doctor Who. I say tribute because that era, in this reviewer’s opinion, is very unique within it’s spirit and overall storylines and slotting stories in, whilst not impossible to do, will never have quite the same impact as a tale from the televised era of the show, Some may say that’s an obvious remark but it’s an important one to bear in mind when approaching stories of this nature. But that’s a mere side note, nothing to cause any concern. Because Cold Vengeance is the Ice Warriors story that plays well with the Tenth Doctor . It’s full of action, drama and character. David Tennant, as he always does, makes us question if he ever really left the role on 2010. He flies, teeth first, into this adventure with the Tenth Doctor as alive and sorry as he ever was. His Doctor never gets dull or repetitive and it’s always a joy to hear him against classic Doctor Who monsters we never got to see him with on screen. Billie Piper returns in this new series as Rose. To place her roughly in continuity, these stories seem to be set after Rise of the Cybermen / Age of Steel and before (obviously) the events of Army of Ghosts / Doomsday. Which means that she’s pretty much baggage free and ready for fun. Of course she’s brilliant, Rose will never leave the actor and the actor will never leave Rose, one hopes. One minor quibble however, Piper’s performance here has more of her ‘real life’ voice than Rose Tyler’s Powell Estate accent. It’s slightly odd given that she ends up sounding more like the Bad Wolf rather than the Rose we’re used to. It doesn’t take away from what Piper ultimately brings to the performance, she is Rose inside out after all, but it certainly takes a bit of getting used to for the first 15 minutes. 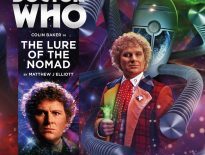 Cold Vengeance is a great story from a great era with two of Doctor Who’s best leads running the story together, it gives an extra layer to the story that we’ve got the Ice Warriors involved in the fun as well. The Tenth Doctor Adventures Vol. 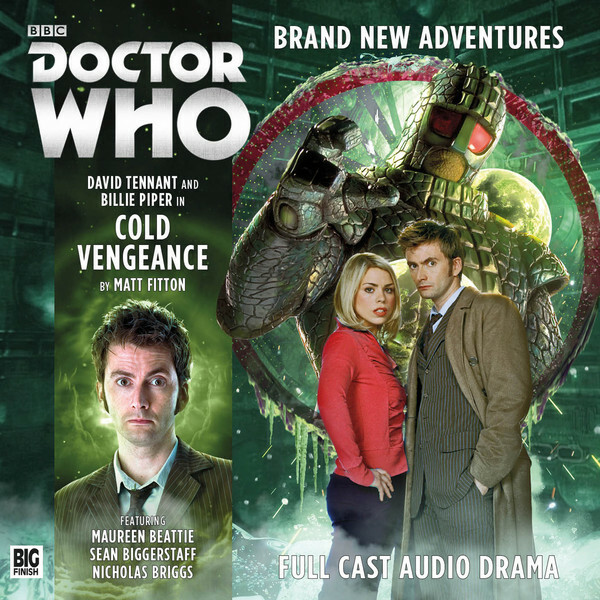 2 – Cold Vengeance is available to buy now on CD and download for £10.99 and £8.99 respectively from Big Finish.